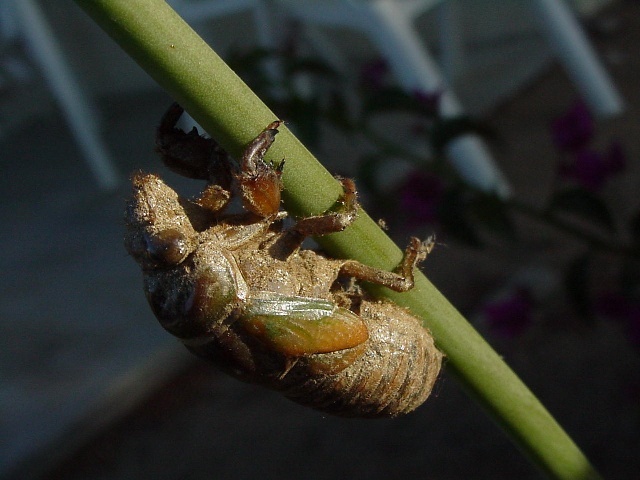 Cicada orni is a cicada found in many European & Asian countries, including Spain, Turkey, Albania, Austria, Cyprus, Czechoslovakia, Egypt, France, Greece, Hungary, Israel, Italy, Jordan, Lebanon, Romania, Switzerland, and Yugoslavia. Photo by Iván Jesus Torresano García taken in Spain. 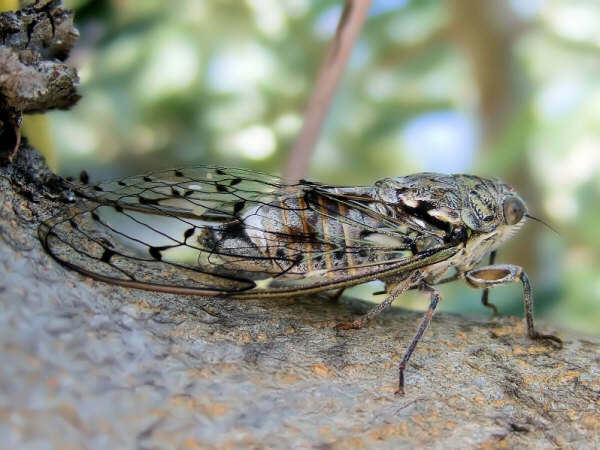 For more information about this cicada visit SONGS OF EUROPEAN SINGING CICADAS. A co-worker went to France, and brought me back some cicada souvenirs! Cicada salt & pepper shakers, and a refrigerator magnet! They love cicadas in France. I received a pair of ceramic singing cicadas for Christmas. Here’s a video of what they look and sound like. They are made in France, and were obtained from a restaurant in Westfield, NJ called Chez Catherine. 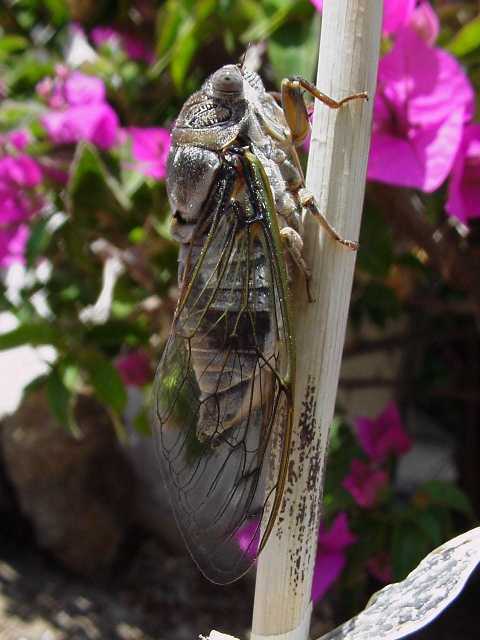 Cicadas are called cigale in France. Here’s the cicada Keychain mentioned in the video. 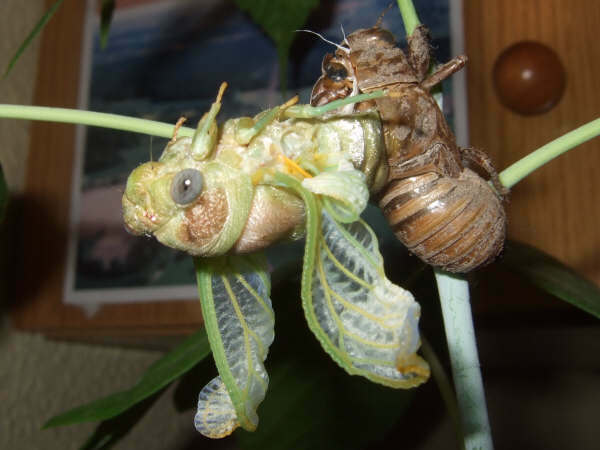 Someone asked me for photos of cicadas from the south of France; my curiosity peaked, I did a search. Cigales is the French word for cicadas, and sud is the French word for south. I took fives years of French in school; I’ve forgotten a lot of it due to lack of use, but I remember those words. 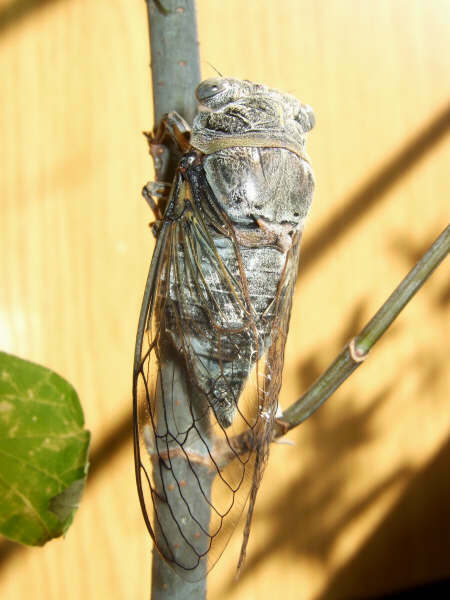 Searching sites written in French using Google I came across: Cigale à Porquerolles, insecte de provence, sur la côte méditerranéenne. Considering the large number of illustrations, photos and information Cigale à Porquerolles, insecte de provence, sur la côte méditerranéenne is essentially the French Cicada Mania — in fact, it’s better than that. It’s the French Massachusetts Cicadas. Check the site out. Even if you can’t read French, the photos and illustrations speak for themselves, and you’ll get a chance to see what cicadas look like in France.